We’re staying in Portland this Travel Tuesday, as we continue our quest for rest and relaxation. This week, we’re in the Boston area at Great Huts. 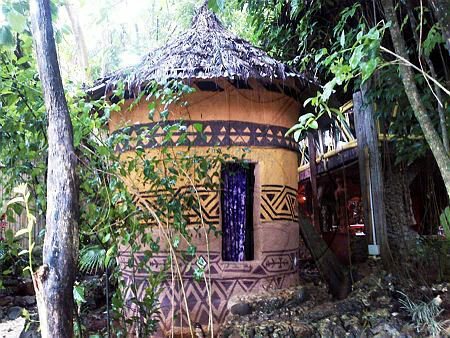 The Afro-centric ‘un-villa’ is tucked away in the cliffs behind the Boston Jerk Centre, overlooking Boston Bay. 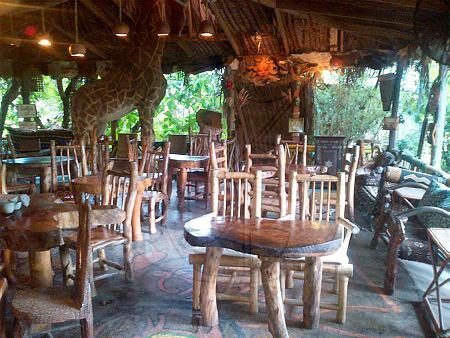 Great Huts comprises a collection of 13 African-style huts, tents and tree houses interspersed through the jungle-like terrain. Owned by Brooklyn transplant Dr Paul Rhodes, the unconventional eco-tourism spot is geared towards those with an appreciation for minimalism and a love of nature. Beauty abounds in the physical landscape of the property, with its majestic topography, secluded nooks, and breathtaking views that just about anyone can appreciate. The “intimate vacation village” offers comfortably furnished dwellings, Wi-Fi communal areas, expansive cliff side views with dining areas, hammocks everywhere, a beach and sea pool, with activities ranging from water sports to day trips around Portland, including valley hiking, river rafting and mountain climbing. Great Huts has been recognised locally and overseas for its unique product. Over the years, it has been voted ‘Best Environment of Small Jamaica Resort’ by the London Observer, awarded the Author’s Choice for north-east Jamaica by Lonely Planet and registers as the ‘Best Bed and Breakfast’ in Port Antonio on tripadvisor.com.